We Provide Our Customers With Over 38 Years of Great Experience and Knowledge. We Never Take Advantage. We Always Give You The Best and Handle The Rest. For decades, L & S Seamless Guttering has remained one of Central Oklahoma’s premier gutter contractors, serving home and business owners. We can fabricate, install and repair aluminum and copper gutters, as well as steel patio and carport covers. Let us answer your questions today and provide you with a free estimate on service! Our ability to custom-fabricate seamless gutters ensures you’re getting a tailored solution each and every time. We’ve been providing gutter repairs and solutions since 1982 and bring decades of experience to every jobsite. Our gutters are available to residential and commercial customers, with solutions engineered around your unique building type and roofing style. We employ knowledgeable professionals who have a wealth of experience. Our team is very friendly, genial and honest, answering any questions you might have for us. Don’t forget to ask about a free estimate on products or services from us! We’ll always provide you with an honest, upfront estimate. 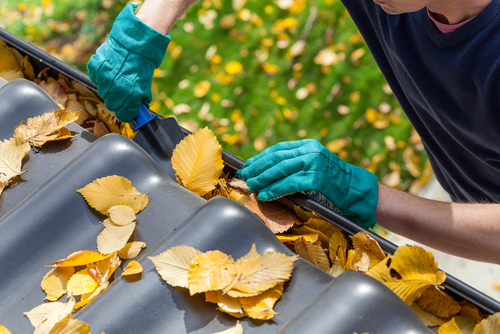 Rain gutters are often an overlooked and under-appreciated aspect of your home’s roofing. But your gutters are also of crucial importance for protecting your home against the elements! Without a system to collect and drain rainwater away from your home, you’re left vulnerable to everything from a flooded foundation to water backups onto your roof. At L & S Seamless Guttering, we strive to help homeowners realize the potential for better gutters. As the premier gutter contractor in Oklahoma City, we bring you the convenience of custom-fabricated seamless gutters, offering maximum potential for protecting your home. Our aluminum and copper gutters are strong, durable and completely customized around your roofing, to ensure foundation flooding and leaky roofing are a thing of the past. Best of all, they look great and are supremely durable, allowing you to protect your home for years to come. Alongside our gutter services in Oklahoma City, we also provide patio covers and carport covers, as well as surface drains. We know the many issues pooling water can have, which is why we take absolute care to prevent it from occurring. Let us help you protect your home, your commercial building, your patio, your carport and any other slab that needs a watershed system put in place. We promise you’ll experience nothing but the relief that comes with proper drainage on your property when the rain starts to fall. Problems with your rain gutters can quickly result in problems for your entire home or business. Let us provide you with solutions that lead to peace of mind when the rain starts to fall!